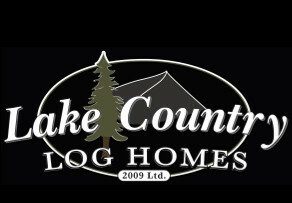 Ever since our initial phone contact with Lake Country Log Homes, we were impressed. As a builder/contractor of mountain homes myself, I personally know how hard it is to fully trust someone you’ve never worked with before. 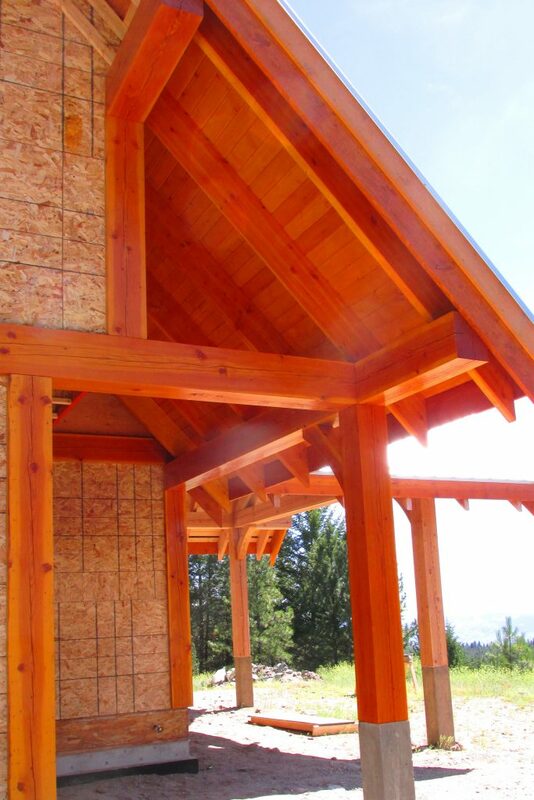 That being said, when their truck showed up with its long trailer and our timber frame package, it was all worth it! 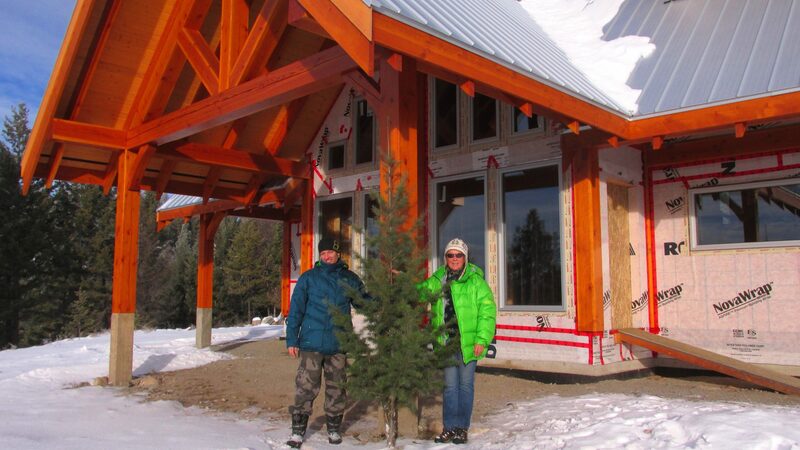 The gentleman that Lake Country Log Homes sent out with the timber package to assist in its construction was priceless. He was very organized and knowledgeable. 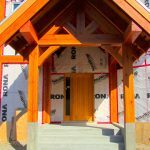 It definitely reassured us that he was onsite to guide our framing team to successfully complete the timber frame construction …. Later, our framers also remarked that they’d hire him in an instant! When the crane left our site after a few days, the whole timber frame skeleton of the house was up, and our whole team enjoyed a pleasurable moment realizing that everything had fit! We only wish the rest of the project had gone that smooth! 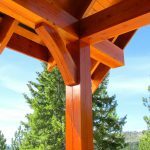 Having worked on many timber/log homes in Whistler, British Columbia area, I can personally attest to the fact that the package we received from Lake Country Log Homes was of top quality craftsmanship. 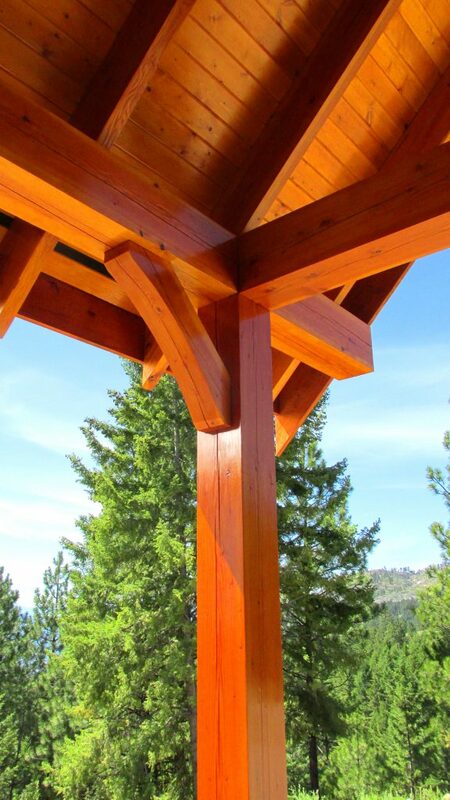 All joints and connections fit perfectly, as well as structural rigidity and quality control on the Douglas fir was tightly done. 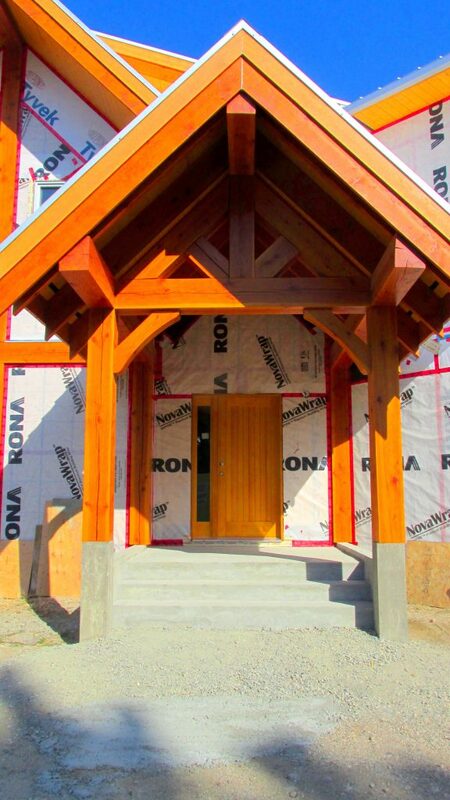 Due to the precision of the beam work done by Lake Country Log Homes, it was such a pleasure seeing the finished look of all the woodwork after it was stained. Due to time constraints we haven’t picked up our heavy timber stairs yet, however we have no doubt they will perfectly constructed as well. It’s always nice to meet artisans who take pride in their work, and it shows. 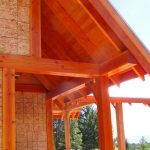 I would definitely not hesitate to recommend Lake Country Log Homes to any future clients for their Timber and log component needs. Their professionalism extended from the office all the way to the final product, which by the way, we’re thrilled with!